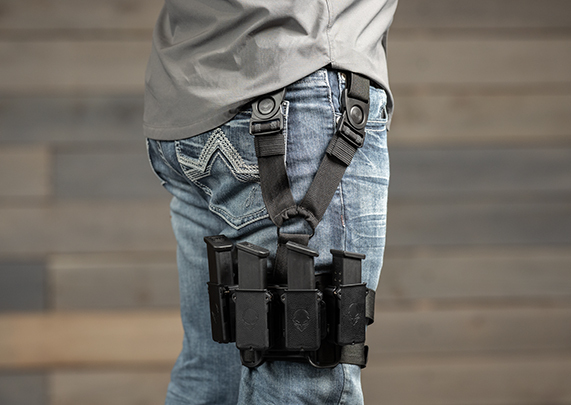 Magazine holsters are essential for concealed carry, besides a quality gun holster and gun belt. Not carrying a spare magazine leaves so much to chance and limits the amount of ammunition you can carry at any one time. A mag carrier also makes reloads at the range an absolute breeze. Alien Gear is proud to bring you the next phase of evolution in mag holsters. Making just another magazine holster is just not good enough for us, as we believe in doing things better than other holster companies. You will see the difference in the design. In keeping with Alien Gear's commitment to modular and customization driven designs, our magazine holders are designed to be the most versatile mag carrier on the market. 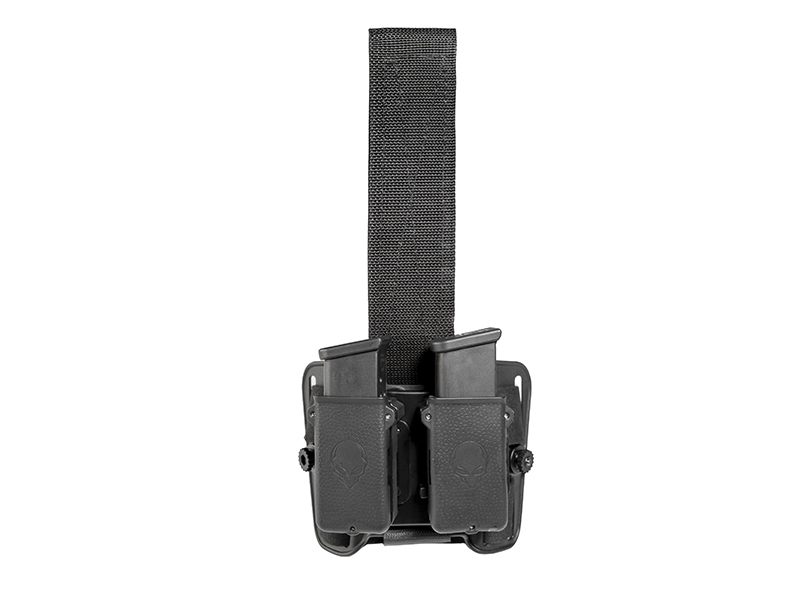 Each carrier comes with a neoprene backer and two holster clips - including our standard polymer belt clip. This allows the wearer to carry their spare magazine in virtually any manner they wish. To use as an IWB magazine holster, attach the neoprene backpad and the smaller belt clip. Wear inside the waistband as you desire. If you prefer an OWB magazine holster, remove the backer and install the larger OWB belt clip. This allows for carry outside of the waistband. Just like our holster retention shells, the magazine bucket is adjustable for retention. Included with purchase is an Allen key, which you can use to set the retention level of your choice. Our mag holders are also fully adjustable for cant, as the clip can be rotated in 22.5-degree increments. Wear vertically, tilted forward or the rear, or fully horizontal if desired for easy concealment. You aren't likely to find any mag carriers on the market that are as versatile as Alien Gear's. They are equally at home at the range as they are carrying a spare magazine for open or concealed carry. 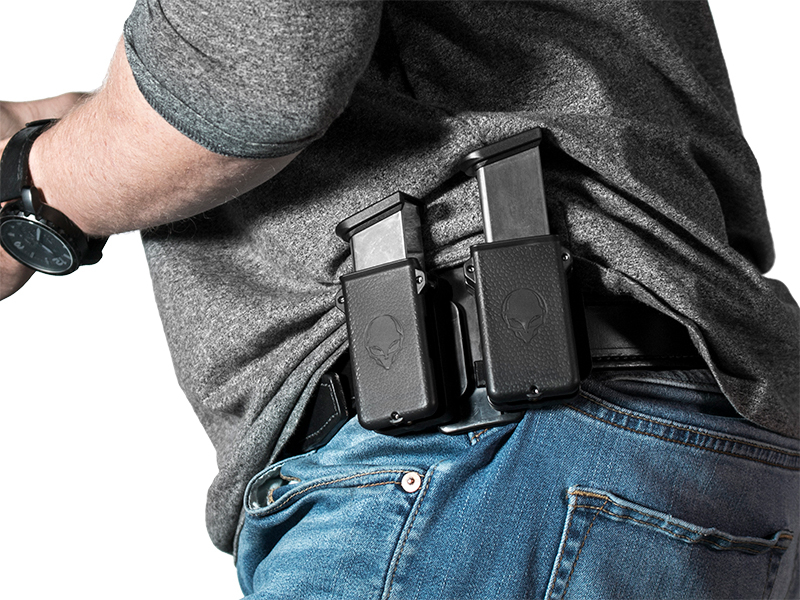 Just like Alien Gear's award-winning concealed carry holsters, our mag carriers come with a guarantee more comprehensive than many other companies offer. 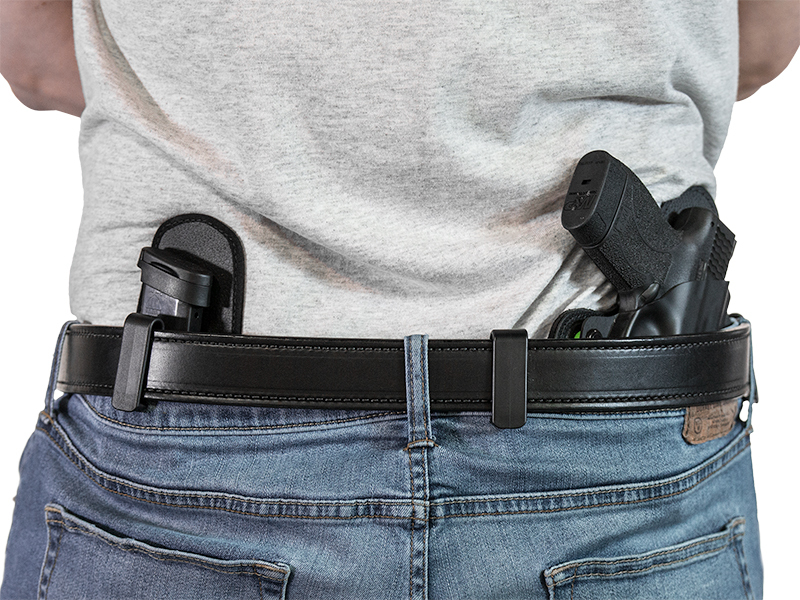 Just as with our holsters, our guarantee includes a 30-day Test Drive period. Take up to a month to see if our mag carrier lives up to your expectations. Our guarantee also includes a Forever Warranty. We will fix any damage or defect to your magazine carrier, or replace it for as long as you have it. 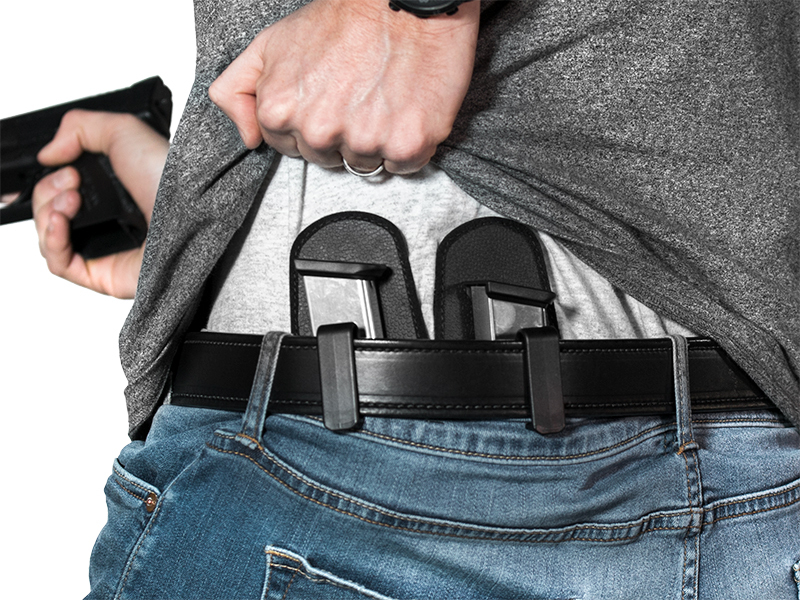 You may not want to carry a spare magazine any other way.